Self-service technology is everywhere these days. In Champaign, Illinois, you can go to the public library and check out a book from a self-service kiosk. Interacting with a human is entirely optional. 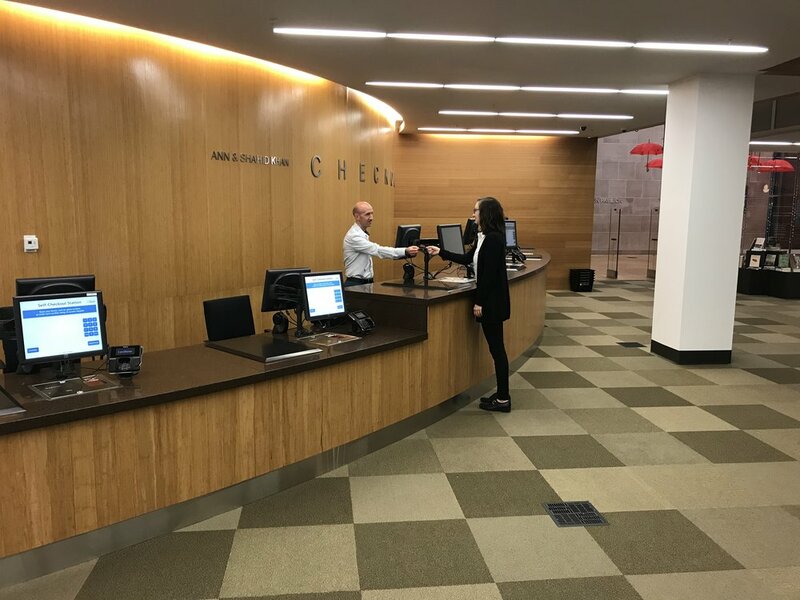 Library assistant Ruairi McEnroe explained, "We have self-checkout kiosks at the library where customers can checkout, make payments (using credit cards), and check their account status without the need for a staff person." This is a win-win for both customers and the library. Customers can avoid waiting in line and are often able to check-out faster using the kiosk. The library is able to save money in an era where many libraries face chronic funding shortfalls. That doesn't mean humans aren't needed. Great self-service is almost always backed by capable humans. Ruairi McEnroe assists a customer at the Champaign Public Library. Think of all the places where self-service helps us avoid a line. We use the Starbucks app to order our coffee ahead of time. Airlines allow us to check in and display our boarding pass on a smart phone. Even the grocery store may soon eliminate checkout lines with the advent of Amazon Go. Nick Francis, CEO of the customer service software company, HelpScout, told me he initially struggled with the idea of offering self-service. "I felt like we wanted to provide the greatest personalized service, but at some point, that's actually quite inconvenient." Over time, he realized self-service was an essential customer benefit. Customers didn't like the hassle of waiting on hold to talk to a person for something simple like answering a basic product question, tracking a shipment, or resetting a password. The realization that self-service can often be a better experience prompted Francis and his team at HelpScout to develop some really good self-service tools. HelpScout and other customer service software companies now strive to make self-service as convenient and accessible as possible. That doesn't mean humans are no longer needed. McEnroe told me that humans serve as a sort of service lifeline at the library in Champaign. There are several places where humans are the key to great self-service. Kiosks at the airport, the grocery store, and other places often have a customer service representative standing by. These reps can dramatically improve the self-service experience when they are properly trained. That's because self-service doesn't always work as intended. Sometimes it can get confusing while other issues can't be solved without a customer service professional. The 2017 Customer Service Barometer published by American Express and Ebiquity revealed that just 23 percent of customers prefer to speak to a person over the phone or face-to-face for simple issues, like checking an account balance. That number jumps to 63 percent for difficult issues, such as disputing a charge. Information drives a significant amount of self service. For instance, let's say you're shopping for a pair of running shoes online. You spot a new model from one of your favorite brands and are about to order them in your normal size when you spot a helpful note suggesting you order a half-size larger. You make the sizing adjustment, order the shoes, and they arrive a few days later. The shoes fit perfectly and you're very happy. Think about what went into that experience. 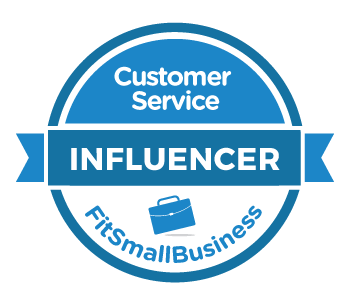 The retailer or shoe company had to collect sizing feedback from customers and then share that insight in a meaningful way to help guide other customers like you. If the sizing information had been wrong or out of date, you would have ordered the shoes in a different size and you would have been disappointed with the fit. Humans are the key to identifying those insights and keeping self-service functioning. Self-service sometimes breaks or fails to work as intended. Snack vending machines are terrific until your bag of chips gets stuck. It just sits there, suspended on the rack, taunting you. This is exactly when you need a human to fix a self-service fail. Some failures aren't so obvious. A customer might search a knowledgebase for a solution, fail to find it, and then contact customer service. The customer service rep might never know about the customer's failed attempt or the 100 more customers who experience the same issue. In The Effortless Experience, authors Matthew Dixon, Nick Toman, and Rick DeLisi detail a helpful exercise to help identify and fix broken self-service experiences. Identify customer issues that could have been solved via self-service. 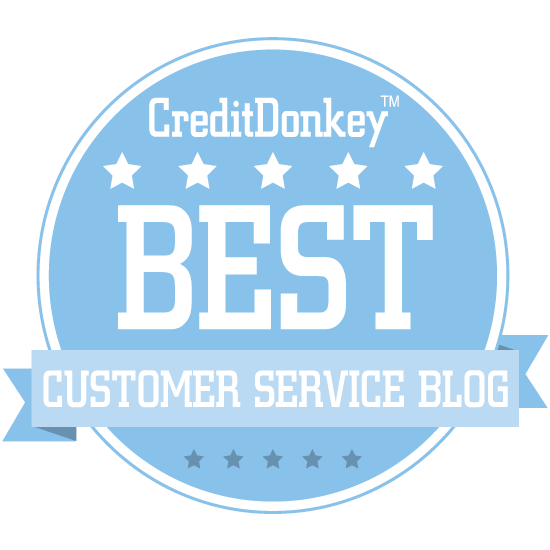 Tactfully ask customers if they tried self-service. Note any feedback about unsuccessful self-service attempts. This information can then be collected so broken self-service systems can be fixed.